Richard Beresford is a little known Founder who played a small part in two important events. Beresford found himself in a situation where he was able to deliever helpful intelligence to the Continental Congress. Then, years later, he was the final piece needed to end the Revolutionary War. In 1778, Richard Beresford was a young man returning from studying law in London when he was questioned by the British. The American Revolutionary War had started while he was away. In order to return to his home in South Carolina, he needed to verify that he was a loyal British subject. While there is no record on how he did this, we know that he was permitted to go about his business. Whatever he told the British, Beresford was an American. He was a Patriot. Beresford went right to Henry Laurens in Philadelphia. Henry Laurens was the sitting President of the Continental Congress at this time. Richard Beresford entered and shut the door behind him. Beresford informed Laurens of information he had learned about a planned invasion of Charleston. Since both men were from South Carolina, this news was very disturbing. Laurens wrote a letter to Commander-in-Chief George Washington about the intelligence and the actions he was taking to prepare. You can read that letter here. As for Richard Beresford, he went straight to South Carolina and joined the militia where he became an aide de campe to William Moultrie. Beresford fought in defense of Charleston but was taken prisoner. Richard would remain captive for almost a year until he was released in a prisoner exchange. Beresford was quickly elected to the State General Assembly. The following year he was elected as Lieutenant Governor of South Carolina. Richard quickly resigned this position as he was chosen as a delegate to the Confederation Congress. He was a member of the Congress during the peace discussions with Britain when he fell ill in Philadelphia. In early 1784, the Treaty of Paris had been signed and sent to America for ratification. Meeting in Baltimore, the Confederation Congress needed two delegates from nine states to be present. This was the only way they could have a quorum and officially ratify the treaty and end the Revolutionary War. As always, Congress had trouble getting its members to attend the session. More and more delegates arrived in Baltimore until, still very sick, Richard Beresford began his journey. In January 13, 1784, Beresford arrived in Maryland ready to cast his vote. He was the second member of the South Carolina delegation which gave Congress the nine states necessary to ratify. The next day a vote was taken, the treaty was approved, the American Revolution was over. Richard Beresford may have arrived late to the Revolution, but the small role he played was very important. He brought intelligence to the Continental Congress which help prepare the defense of Charleston and, later, became the final person needed to vote on the end of the War. If you would like to learn more about the Founding Fathers, subscribe to the email list and we'll send you a new article every day. 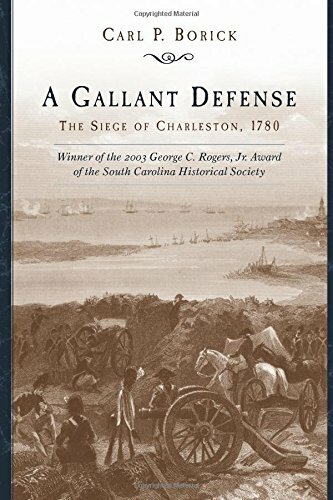 Beresford does not have a biography I can recommend, but if you would like to learn more about the Siege of Charleston, pick up 'A Gallant Defense' from our affiliates at Amazon.